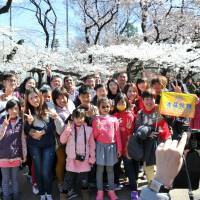 Ueno Park, one of Tokyo’s best-known landmarks, is Japan’s first government-designated park, with its origins dating back to the Meiji Era. It was Dutch military Dr. Anthonius Franciscus Bauduin (1820-1885) who first proposed the idea of giving the area special status. 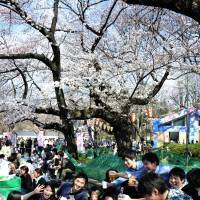 At this time of year, hundreds of cherry trees in full bloom add a seasonal color to Ueno Park. Visitors can enjoy illuminated blossoms between 5 p.m. and 8 p.m. until April 12 during the Ueno Sakura Matsuri. 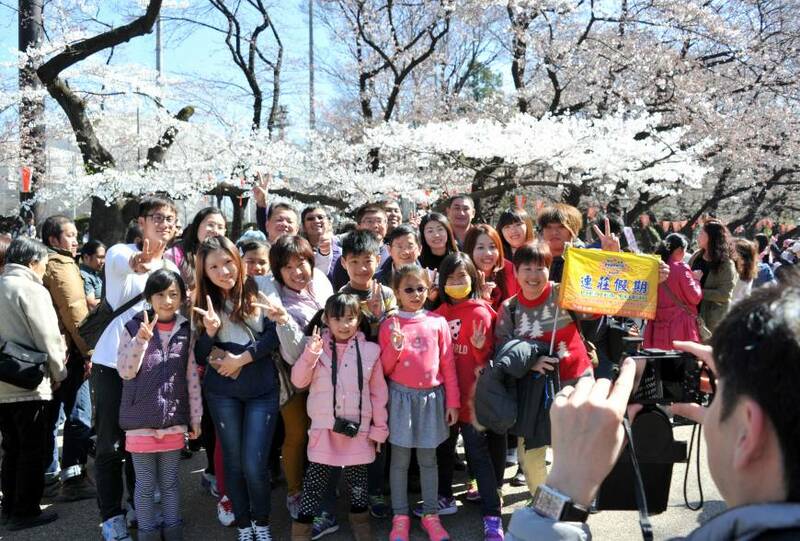 Japan’s love of sakura (cherry blossoms) is strong. 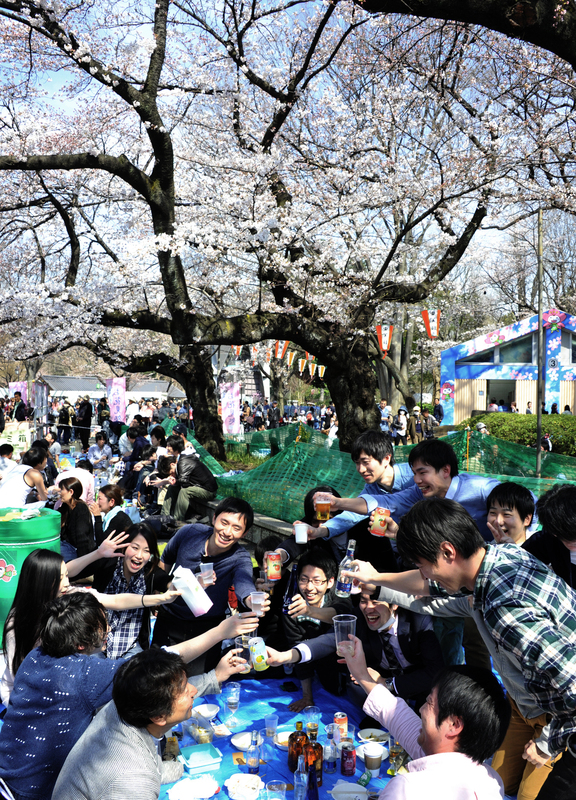 Even in this high-tech era, hanami (cherry blossom viewing) parties under the trees remain popular. In fact, it is not an uncommon sight these days to see foreign tourists also joining in the action. The percentage of tourists, especially those from other parts of Asia, has shot up in recent years. 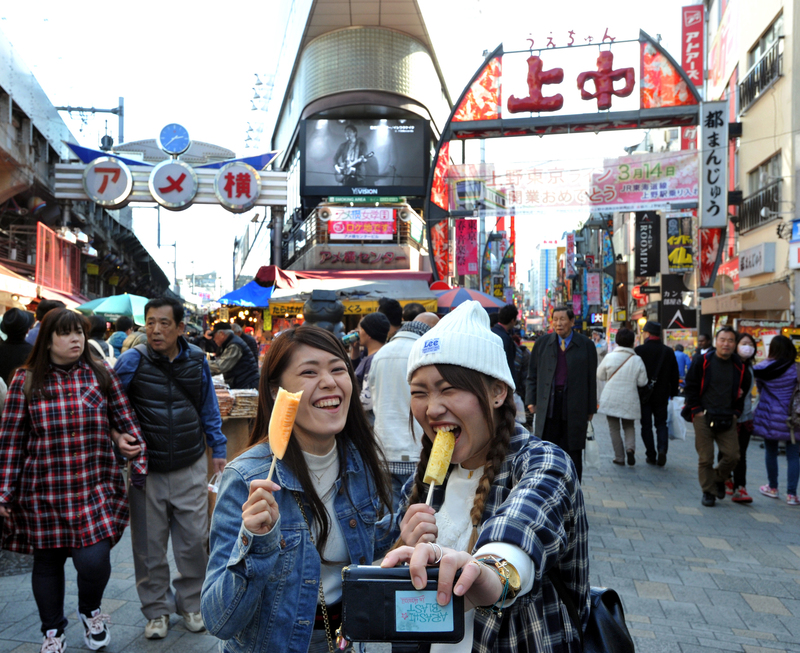 Walking south from JR Ueno Station, you will find the famed Ameyoko shopping arcade, with some 400 shops tightly lining a 400-meter-long stretch. The arcade began as a black market in the ashes of the war, dealing in American goods obtained from Occupation forces. 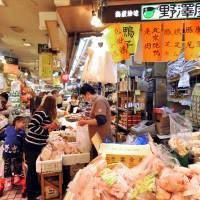 In recent years, food stalls selling dishes from China, South Korea, Taiwan, the Philippines, Turkey and other parts of Asian are gaining more prominence, giving the shopping arcade a global diversity. Various ethnic foods are also available on the underground floor of Ameyoko Center Building. 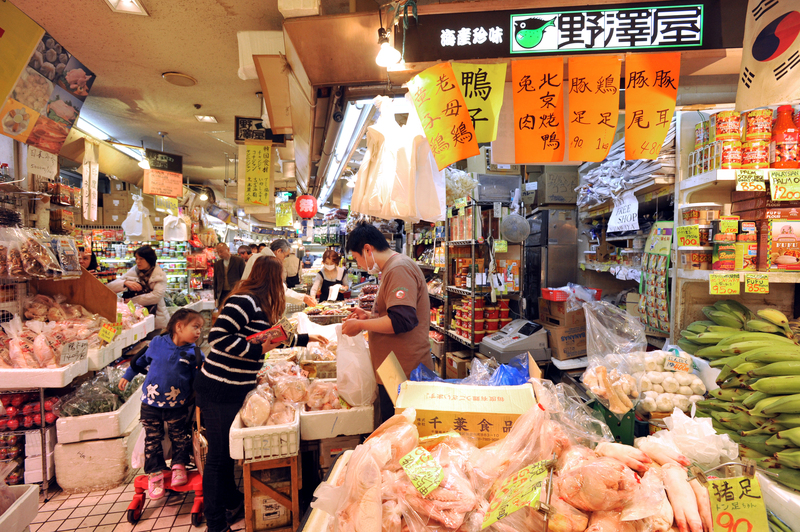 Foreign tourists with knowledge of the area come to the floor to buy the ingredients for dishes from their homelands. Despite its origin as the downtown area of Edo, today’s Ueno has everything from natural beauty to international diversity. 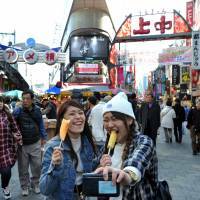 Easy access from Tokyo Station and Narita Airport also add to its popularity. This section, appearing on the first Monday of each month, offers a snapshot view of areas that may interest tourists.